We had a visit from Chris, from St. John's Hospice, who came into assembly to tell us all about our exciting Elf Run challenge to help raise funds for the hospice. The fun run is a family event taking place on Morecambe promenade on Friday 7th December, starting at 4.00pm. 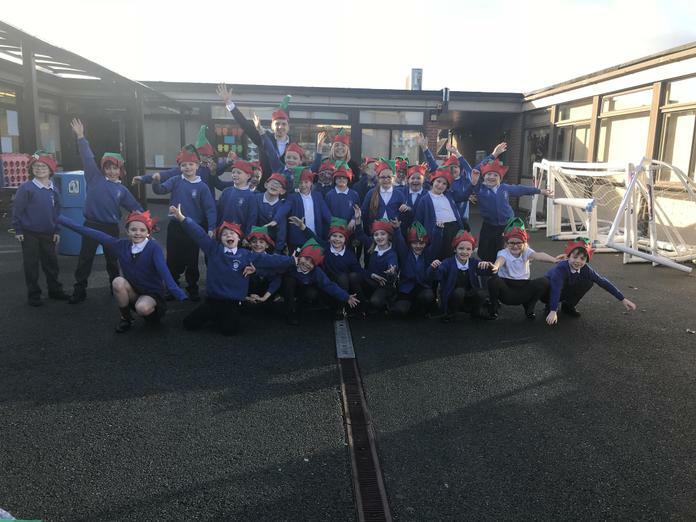 Each child has been provided with a fabulous elf hat and an envelope to collect some sponsor money, or a donation. We hope to see lots of you there - is should be lots of fun and will help keep us all fit and elfy! !